HTML5 has received a glowing write-up, much of it driven by potential within realm of showing video on the web without plugins, such as Adobe Flash. But HTML5 unfortunately hasn't found a standard format to support, since difference browsers ask for difference HTML5 formats, see OGG, MP4 and WebM. That means you will need to convert video to HTML5 supported format beforehand, in case you want to create HTML5 video for website or blog. Haven't got an appropriate one yet? Read on the article that will lead you to free download the best HTML5 video converter for Mac/PC and give a user guide in detail. ◆ Crop, trim, cut, merge HTML5-readable videos for displaying on your websites; World's no.1 fast speed. 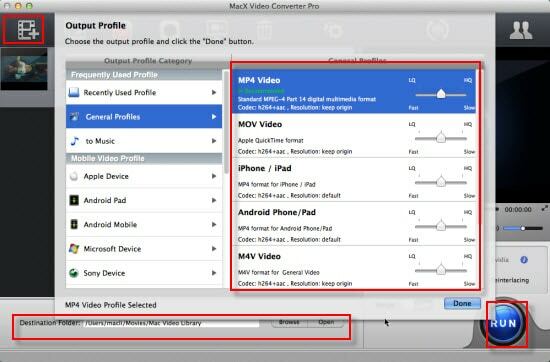 MacX Video Converter Pro is a bellwether in the video conversion territory. With clean interface, both Mac and PC users can easily convert AVI, WMV, MKV, MOV and other videos to make a creative MP4/OGG/WebM movie for browsers like IE9, Firefox, Chrome, Safari, etc. It takes the lead in Intel QSV support, thus HTML video conversion speed goes as many as 5x faster than any other video converters. On top of that, it manages to convert HTML5 video, even 4K/8K UHD video, at lightning speed without sacrificing any video/audio quality while compressing the file size as much as possible, thanks to the high-quality engine. * Record HTML5 contents from online site and make funny slideshow with photos. 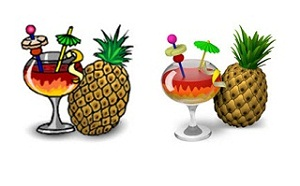 Handbrake is another highly acclaimed yet free video converter working on both Mac, Windows and Linux. There are many bonus features such as title and chapter selection, the ability to add subtitles to video, deinterlacing, queued encoding, and more. But you shall keep in mind, Handbrake only free converts video to MP4 and MKV. That means you can only embed video in the old versions of IE, Firefox, Chrome and other browsers using HTML5. For the Firefox 4+, Chrome 6+, or other browsers, please turn to a Handbrake alternative that's able to convert video to OGG and WebM beforehand. If you want an HTML5 video converter not merely limited to HTML5 conversion but also demanding on inserting your video directly into a HTML5 file, Easy HTML5 Video is what you are looking for. It helps you create HTML5 file by converting most file types into WebM, OGG and MP4 format on Mac or Windows in 3 simple steps, with HTML5-specific features like autoplay, controls, loop and watermark. However, there are no more other options like preset profiles for mainstream mobile phones, HTML5 download option, etc. 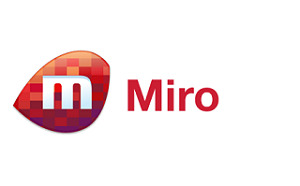 For a free video encoder for HTML5 contents, Miro Video Converter is another great choice. You can free convert a wide range of formats to HTLM5 video (Ogg Theora, Web VP8 and MP4) and transfer any video to Samsung, HTC, Motorola, iPhone and iPad. However, since it is open source, failing to keep up with new technology is what its Achilles' heel. You cannot rely on it to convert video to the latest iPhone 6S, iPad Pro or Apple TV 4. But like MacX Video Converter Pro does, it supports batch conversion, file size customization and more. Freemake Video Converter is listed in the fifth place in our top HTML5 video converter list, simply because it is only available for Windows users. If you are running on Mac and need HTML5 creation, you need to download Freemake Video Converter for Mac alternative to tackle the mission. But if you are PC users, you will be rewarded as it handles well in video conversion, including the less common used formats MTS and RM. By the way, the HTML5 conversion is accelerated as well, due to its flawless support for both CUDA and DXVA tech. No support for the newly released gadgets. Ready profiles for Apple, Android, Sony PSP, Xbox, Samsung, Nokia, BlackBerry phones, tablets, consoles. All the five HTML5 video converter software offers a simple way to turn videos to HTML5 formats. But how to accomplish the task? Here, we provide the thorough user guide about HTML5 file conversion on Mac or PC, with MacX Video Converter Pro as the typical example. Step 1: Free download, install, and run it on your Mac computer. For windows users, please head over to the windows version for your needs. Tap the "Add File" button on the top corner of the main interface, where you can load the video for conversion. Note: you can load many videos at a time as batch conversion is supported. Step 2: Once a pop-up window appears, you are asked to pick an output format from the panel, where 350+ readymade presets are available here. You can simply choose the HTML5 supported formats like OGG, MP4, WebM for later embedding into the browser. ▶ You can hit the "Edit" button on the main interface to cut, crop, trim and even add watermark or subtitles to the video before embedding it to the browser using HTML5. 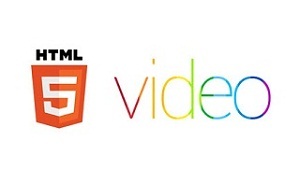 ▶ Check hardware acceleration box to enable a fast HTML5 video encoding. Step 4: Click "RUN" to start the HTML5 video conversion. You can view the conversion progress and are able to cancel the process at anytime. Now making HTML5 video for webpage or blog has almost done half the work, you can move to the next step to embed the HTML5 video to web hosting. Scroll down and learn how to embed the video using HTML5. Step 1: Open the webpage or blog post you'd like to insert the HTML5 file. Then copy and paste the following code into where you want the video to be shown. Note: Safari and IE9 will use the .mp4 file; Firefox, Chrome and Opera play OGG instead of Webm. Step 2: Put all your files and videos into the same folder on your computer. Step 3: Free download an FTP tool like FileZilla to upload all your files to your server, after which you can go to the url and the video will be display. Stay here to learn how to free download HD 1080p and 4K video from Twitter. You can free download the FLV YouTube video converter to save online videos on Mac without a hassle. It is too slow to watch YouTube 4K videos and movies online. So you can download YouTube 4K video for free in the guide to solve the problem. MacX Video Converter Pro is the best HTML5 video downloader and converter that can download online videos and convert HTML5 video to MP4, MOV, MKV, AVI and other file formats with top quality and fast speed.